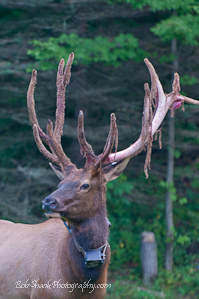 I was fortunate last week to spend some time in the mountains photographing the Pennsylvania elk with my son, James. We had a limited time and it rained much of the time. I took 1,122 photos and was pleased with 72 of them. Not too bad considering the lousy weather conditions. 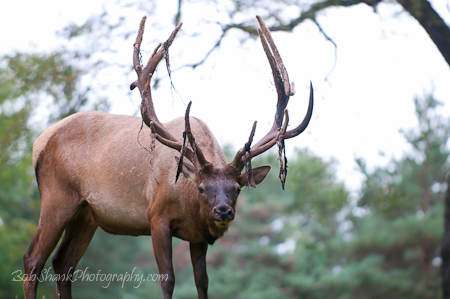 We got lucky getting onto elk early and often. By all standards it was a great trip! I returned home and created a slide show of my 10 best photos to share on the website. I put that link in my previous blog entry 3 days ago. 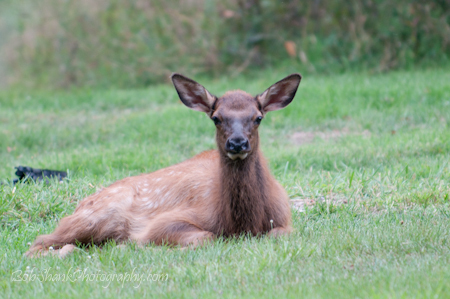 I received many encouraging and positive comments about these photos, but the amazing thing to me was just how much attention the photos of the elk calves received. It was truly amazing to me! Now, don’t get me wrong, I like the little ones, too, but I just didn’t expect these photos to draw so much attention over the others. There seems to be something special about these small ones. 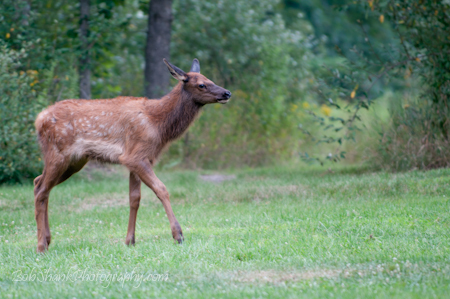 Similar to our human experience, these little elk grow up fast! They still have their spots in August, but that will change rather quickly and they are already much bigger than when they were first-born two months ago. Time definitely has a way of marching on quickly! 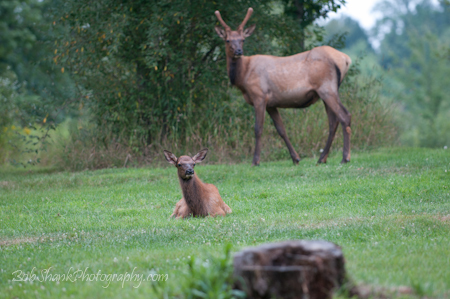 Here are three photos of elk calves that I was able to capture last week. I can already hear some folk saying, “Ahhh, aren’t they so cute?” Yep, the small ones do attract attention!